We hope that you will find out everything you are looking for - what performances we will be giving, how to book your tickets for these events or how to join the Society and become a singing member of the choir. Next concert date – December 7th 2019. The Society is well established, having given its first performance in 1949. Since then it has provided regular concerts in Sunderland with a repertoire which has been mainly classical - sacred and secular - with occasional pieces which are more contemporary. 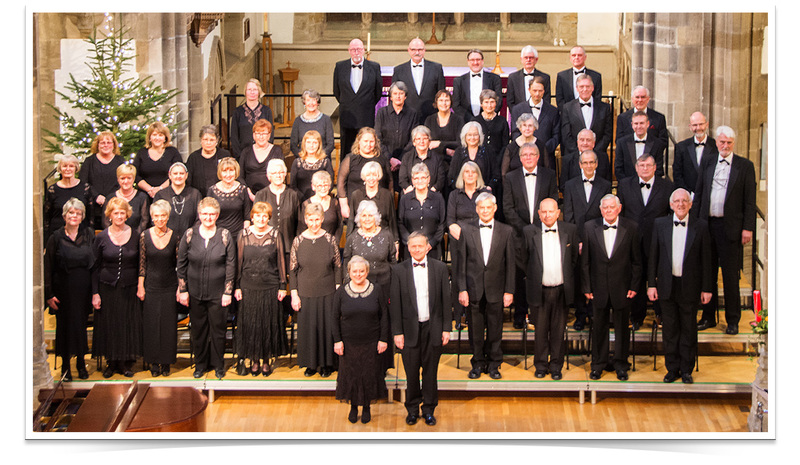 The choir seeks to achieve a very high standard musically in the chosen works and performances are always in conjunction with professional soloists and orchestras of a very high standard. In addition, the Society has a section for younger singers, Bishopwearmouth Young Singers, who rehearse separately and prepare for their own concerts as well as sometimes taking part in the main Society events. Hire library to other choirs preparing for their own performances. This site will continue to provide you with an insight into the planned programme, details of the forthcoming concerts, and one way to acquire your tickets for these events. Also if you are interested in joining us to sing then you will find background information on our history, the works we have already performed, and details of the choir arrangements. Once you have joined us it will also become a source of updated information on organisational arrangements. If there is any other assistance we can give to enable you to enjoy or take part in our activities please do not hesitate to contact us.